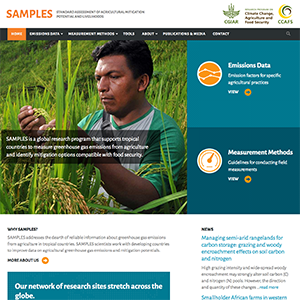 This data and research site organized by the CCAFS Low Emissions Agriculture group within the Gund Institute for Ecological Economics allows developing countries and scientists to improve data on agricultural greenhouse gas emissions and mitigation potentials. I worked with Clutch Creative to create the WordPress site while the CCAFS partners in Colombia created the data mapping tool. Michael took the time to understand our website needs and users. We have an international audience of professionals from many different backgrounds, so we needed innovative ways to help users find the information they need. Michael provided options and solutions, and more solutions at every turn. We are very happy with how we present the information and how we keep it current. Highly recommend without hesitation!